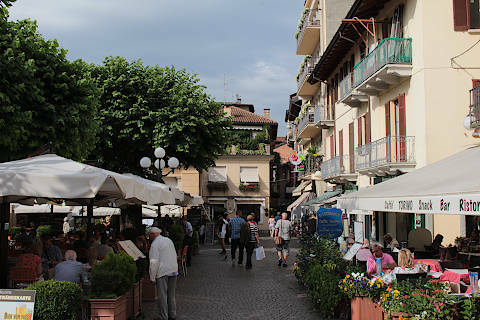 The town of Stresa, founded in the 10th century, is about half way down the west coast of Lake Maggiore, is within the Piedmont region of Italy (the eastern side of the lake is within the Lombardy region) and the principal resort for visitors to the lake. 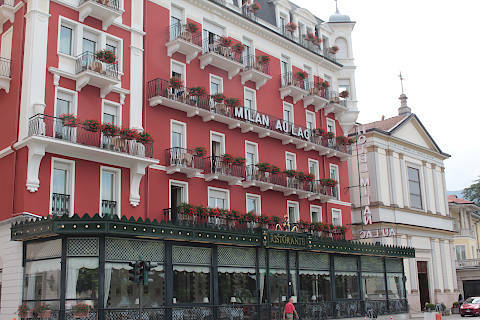 The town was at the height of its popularity in the early decades of the 20th century after a railway arrived in 1906. 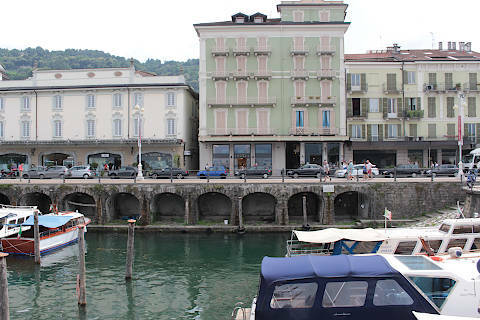 Leading Italians such as the philosopher Rosmini, the writer Manzoni and the Duchess of Genova came to live here, and the town gained international fame after Ernest Hemingway used Stresa as part of the setting for A Farewell to Arms after being sent here to recover from a war injury. 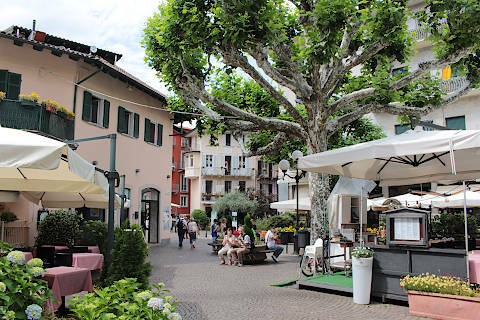 If you are arriving in the town by car, parking can be a bit of a challenge: Piazza Capucci is usually the most easy car park to find a parking space and is very close to the town centre so try there first. When all else fails there is usually parking at the train station, but that is further from the town centre. 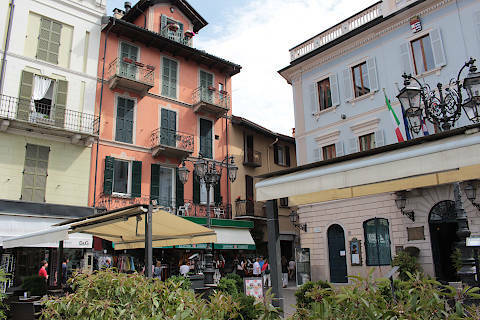 The town centre is very pleasant, and centred around Piazza Cadorna. 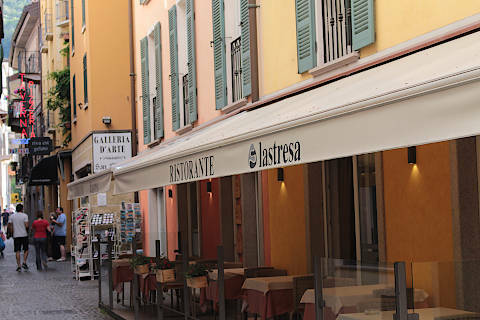 The Piazza is full of cafes and the surrounding streets, which are partly pedestrianised, have numerous small shops where you can buy gifts and local produce: all in all, it is a charming small town to explore. 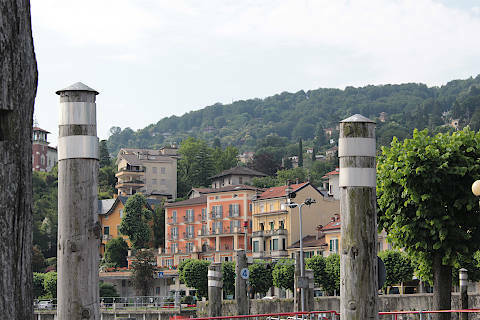 To the north of the town centre you reach Lake Maggiore, with a long promenade along the lake as well as the terminal for boats across the lake and to the Borromean islands. 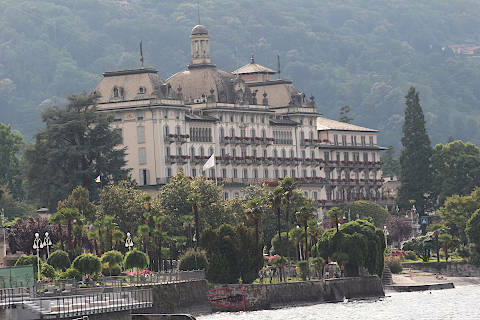 Both here and elsewhere in Stresa - in particular along the lakeside promenade - you will pass lovely grand villas, many of which also have beautifully maintained gardens. 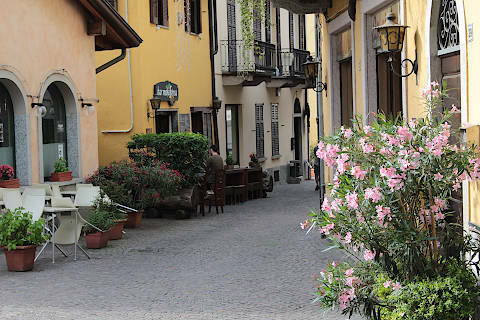 You will have to be content with seeing most of these without being able to enter - a good number of the villas are privately owned - although several have now been converted into imposing hotels. 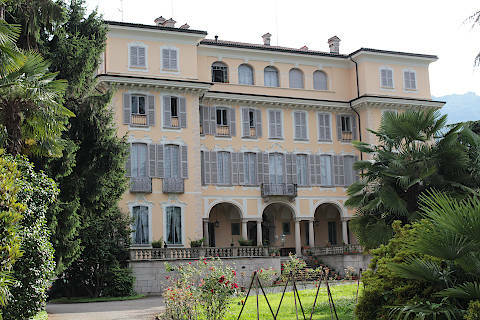 Among the most important villas are the Villa Ducale, from the second half of the 18th century, and the Villa dell'Orto, built in 1900. 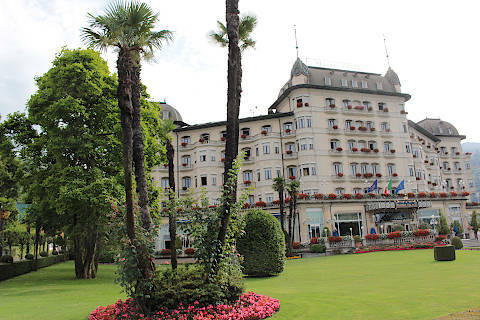 The best known hotels include the 19th century Grand Hotel des Iles Borromees, the first substantial hotel to be built in Stresa, and the Regina Hotel from the early 20th century. 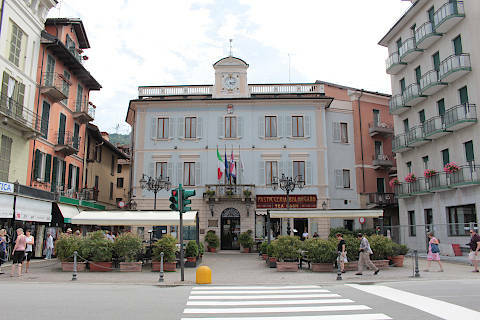 The most important museum in Stresa is the Museo Pietro Canonica, in the town hall. 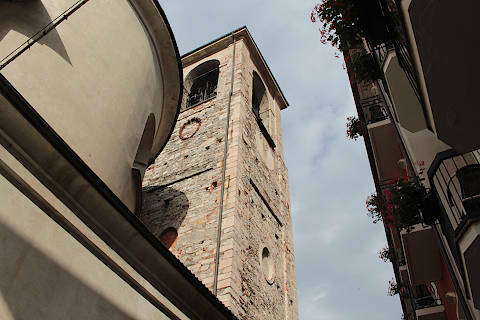 The museum contains numerous sculptures by the artist Pietro Canonica (1869 - 1959), who often visited the town to stay with the Duchess of Genoa. 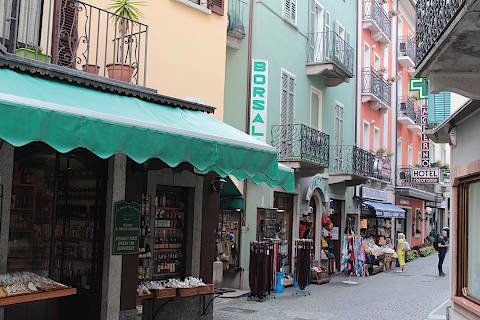 After exploring the centre of the town, the cablecar from behind Stresa can carry you up to 1491 metres altitude on the summit of Monte Mottarone, an unmissable trip on a clear day because of the spectacular views across the lake and mountains beyond. 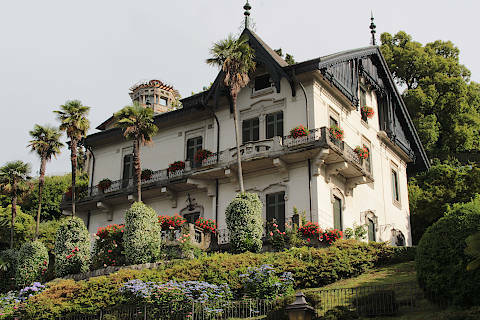 The whole journey takes about 45 minutes, although we suggest you also get off at the 'Stazione Alpino' stop to visit the Alpine Botanical Gardens which features an interesting collection of hundreds of plants typical of the Alpine climate. 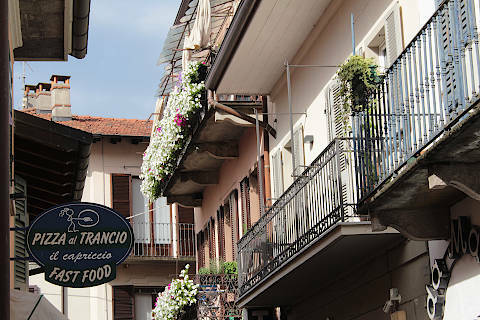 Hikers can use the cable car to access the high mountains, and mountain bikers can also take their bikes up in the cable car and then follow a long descent back down to Stresa. Skiers can also ascend by cablecar in winter, although the ski season on Mottarone is short and the choice of ski runs quite limited. 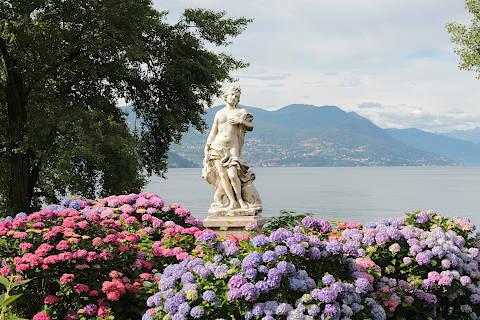 Apart from the town itself, one reason for the popularity of Stresa with visitors is the closeness of the villas and gardens on the Borromean Islands, in Lake Maggiore very close to the town and the most visited destination on the lake. 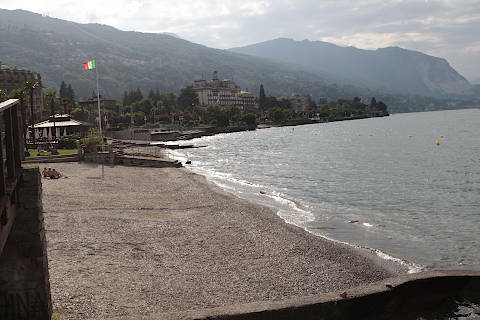 See Borromean Islands for details. 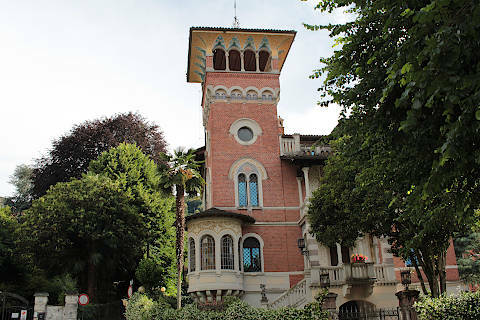 We also recommend a visit to the Zoo Park of Villa Pallavicino, a short walk south-east from Stresa along the lake on the route towards Belgirate. The animals and birds here are generally of the smaller species but they are very accessible to visitors and the park is quite extensive, with a large botanical garden and numerous mature trees along the shores of the lake, all situated around an imposing 19th century villa. 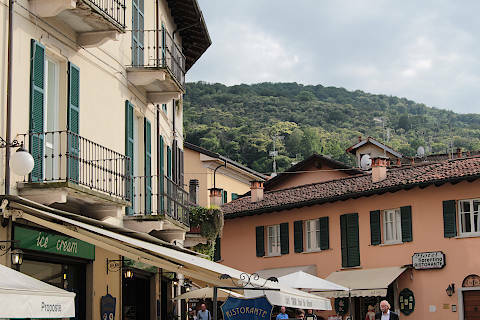 To the east of the town, about one hour drive across the mountains, you will want to visit Lake Orta and the beautiful village of Orta San Giulio.